Chinmaya Mission Shimoga, which had been functioning since 1976 got a permanent mission centre in 1988 when Karnataka Chinmaya Seva Trust bought some land with a big hall. 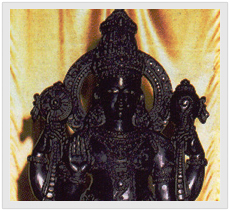 In 1991, the Hall was modified by building a Mantap and the idol of Lord Satyanarayana was installed. Later the famous sculptor Shri Kashinath sculpted a mural on the front face of the building. 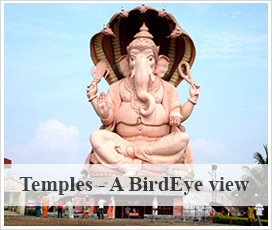 The temple houses a Satsang hall, which is constantly used for bhajans, discourses and archanas.